Have you written any Christmas or Holiday Songs? 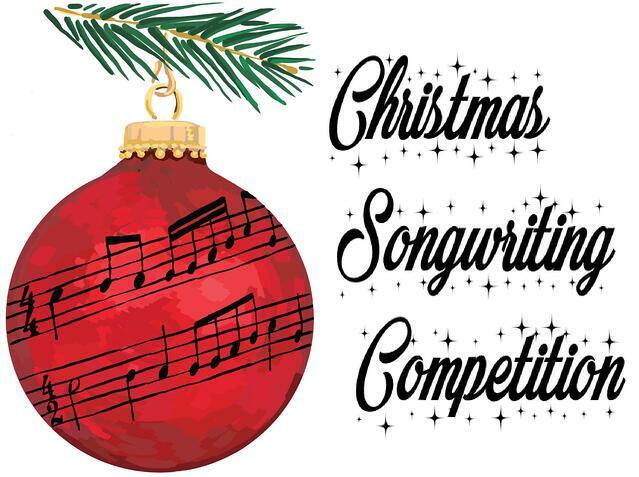 You should enter the Christmas Songwriting Competition! It's the most wonderful time of the year for songwriters - Get an opportunity to have your songs published, cut by recording artists and win great prizes. This is a special limited time opportunity for your Christmas or Holiday songs. Deadline: enter by December 23rd or earlier. Hurry, enter now! I certify that I have read, understood and accept the rules and regulations of the USA Songwriting Competition. 1. If you enter online, you will need to fill out the online entry entry form with your full contact details and credit card (Master or Visa). After your card has been processed, you will be taken to the 2nd page where you upload your mp3 or enter with your song on YouTube, Soundcloud or Reverbnation. If you enter by mail, each entry must include: (A) Completed entry form (or photocopy). All signatures must be original. (B) CD or Audio Cassette(s) containing 1 song only, 5 minutes or less in length. Lyrics Only category do not require audio CD or cassette. (C) Lyric sheet (please include English translation if applicable). Lyrics are not required for instrumental category. (D) Check or money order for US$35.00 (US currency only). You may total all entries on 1 check (example: 6 entries = $210.00). If paying by credit card, US$35.00 per song entry will be charged to your account. All entries must be entered by December 23, 2018 or earlier. If songs are entered online, MP3 of 8 MB or less is permitted, $35.00 per song entry will be charged to your credit card. This cost is the same whether entering online or regular mail. You would copy & paste the lyrics into the online field. 2. All songs submitted must be original. 3. Contestants may enter as many songs in as many categories as desired but each entry requires a separate CD or cassette, entry form, lyric sheet and entry fee (For example: 6 song entries would cost $210.00). One check for multiple entries/categories is permitted, One package for for multiple entries/categories is also permitted. Credit card payment is required for all Online entries. Entry fee is non-refundable. USA Songwriting Competition is not responsible for late, lost or damaged, misdirected, postage due, stolen or misappropriated entries. 4. This competition is open to all amateur and professional songwriters and anyone regardless of nationality or origin. Employees of USA Songwriting Competition, their families, subsidiaries and affiliates are not eligible. Cassettes, CDs and lyrics will not be returned. 5. Winners will be chosen by a Blue Ribbon Judging Committee comprised of music industry professionals including A&R managers from record labels, publishers and producers. Songs are judged equally on originality, lyrics, melody and composition. Songs may be in any language. Quality of performance and production will not be considered. Prizes will be awarded jointly to all authors of any song. Division of prizes is responsibility of winners. The winners release sponsors from all liability regarding prizes won. Taxes are winners' responsibility. Entrants and their collaborators will retain full rights to all work submitted for the competition. 6. Winners will be notified by mail and must sign and return an affidavit confirming that winner's song is original and he/she holds rights to the song.Failure to sign and return the form within 30 days will result in immediate disqualification and an alternative winner will be selected. Entry constitutes permission to use winners names, likeness and voices for future publicity and advertising purposes without additional compensation. Winners will be determined by February 14, 2019. After which each entrant will receive a winners list by e-mail. 7. USA Songwriting Competition reserve the right to extend the deadline of the competition if needed. 8. Prizes: Grand Prize Winner will receive $1,000 worth of merchandise from our sponsors. 2nd Prize Winner will receive $500 worth of merchandise. 3rd Prize will receive $200 worth of Merchandise. Top 15 finalists' songs will appear on a special Christmas Compilation CD. PLEASE WRITE OR PRINT CLEARLY & NEATLY. PLEASE MAKE COPIES OF THIS APPLICATION FORM TO SUBMIT MORE ENTRIES! ENTER AS OFTEN AS YOU LIKE IN AS MANY CATEGORIES AS YOU WISH! **We do not guarantee that your songs will receive radio airplay. This is on the discretion of the music publishers or record labels.